The Defects of PCBA are No Power, No Display, Abnormal Display. Repair action for the above mentioned defects is to replace Power section Display section active and passive compnents. 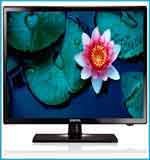 With dedication and sincerity of our workforce, we are readily occupied in the realm of offering LCD TV Repairing Service. Provided services are delivered underneath the direction of hard-working personnel in tune with the set market norms. Furthermore, these rendered services are enormously treasured amid our patrons owing to their reliability, cost effectiveness and flexibility. We know how stressful it can be when your product stops working, that’s why we are on hand to help, whether you visit us in store or call us at our Contact Centre.